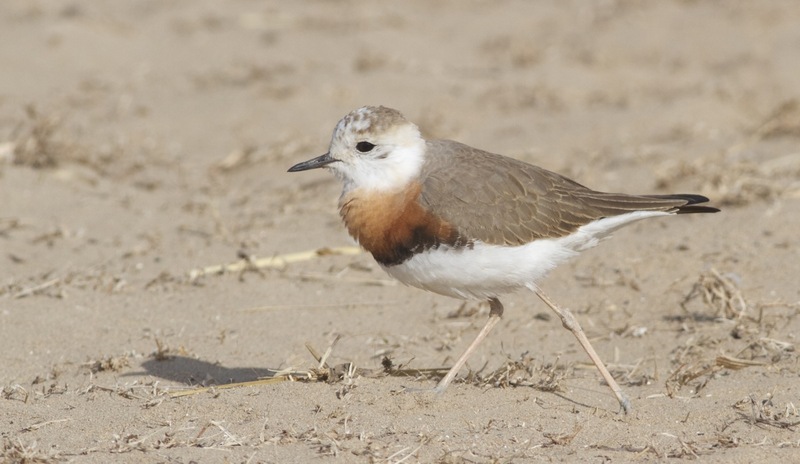 Oriental Plovers – they’re back! 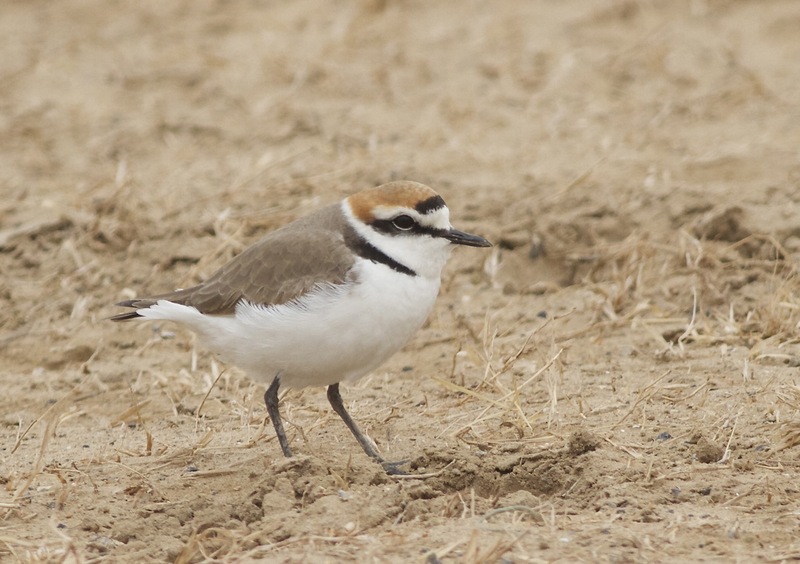 Oriental Plover, Ma Chang, Friday 29 March 2013. The arrival of these birds symobolises the beginning of Spring at Wild Duck Lake. 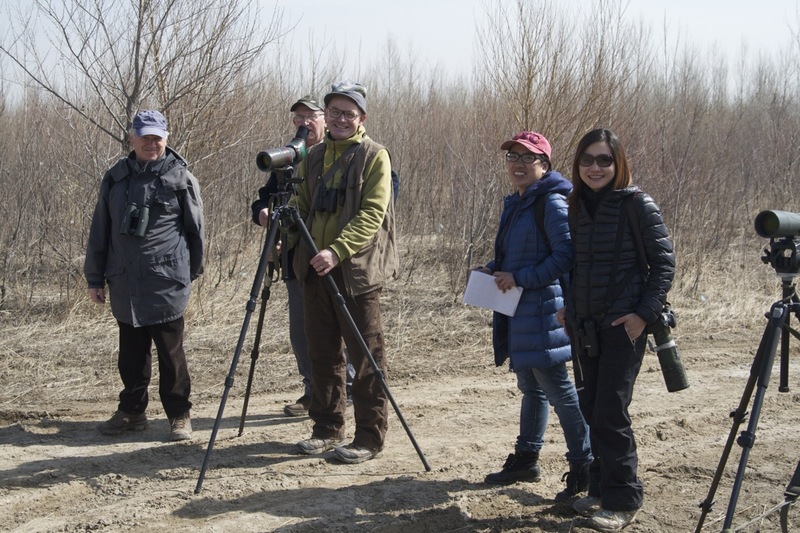 On Good Friday, I visited Wild Duck Lake (Ma Chang and Yeyahu NR) with visiting Ed Drewitt and Beijing-based student Alice Carfrae. 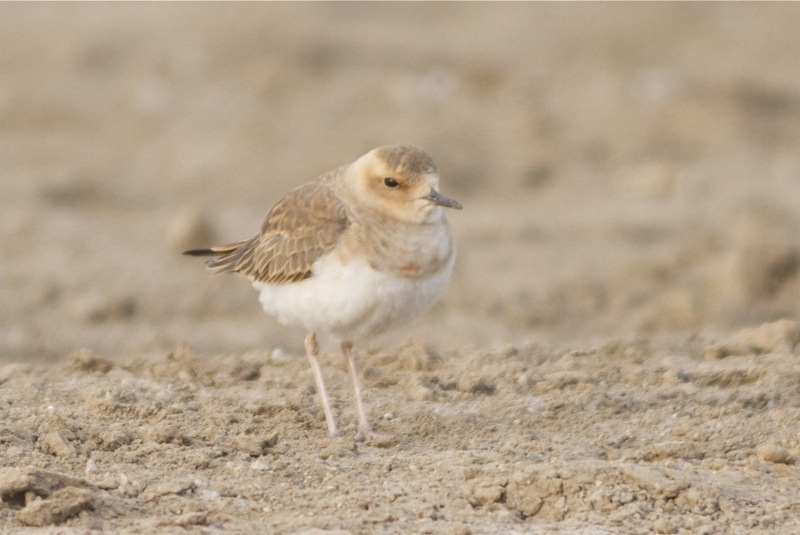 The weather was good, if a little cold, and the birding a superb example of an early Spring day in Beijing. The highlights for me were the 6 stunning Oriental Plovers at Ma Chang early morning and the excellent views of Baikal Teal at Yeyahu NR. I collected Ed and Alice around 0530 for the drive to Ma Chang. 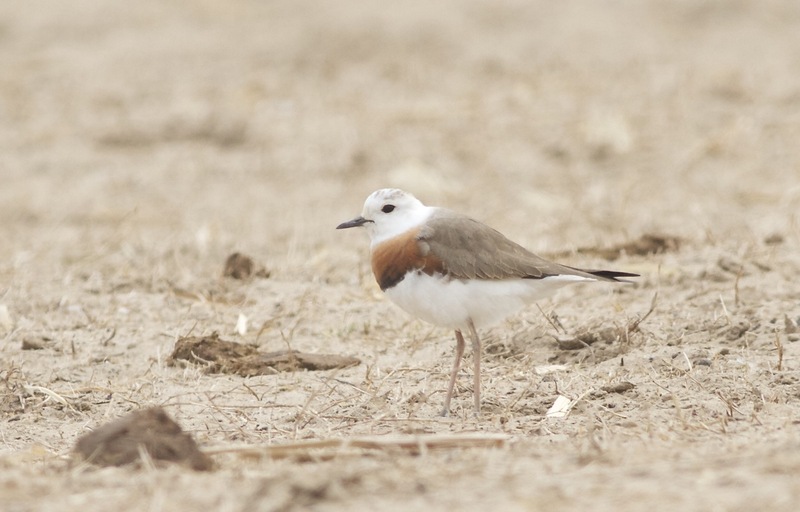 After a clear run we were on site and birding by 0720 and, within just a few minutes, a hopeful scan of the ‘desert area’ at Ma Chang produced 6 beautiful Oriental Plovers. Ma Chang is THE place in Beijing to see this species in early Spring and, for me, these birds are the symbol of the beginning of Spring in the capital. We enjoyed these birds for around 20 minutes, watching them preen and, occasionally, feed in the early morning light. After seeing them this time I think this bird is my personal favourite, among so many other great species to be found here. 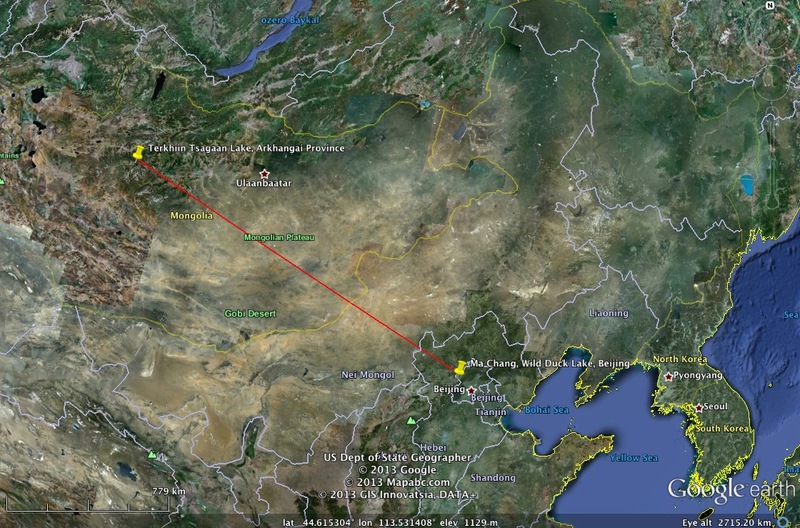 These birds are well on their way from their wintering grounds in Australia to their breeding grounds in Manchuria and Siberia. 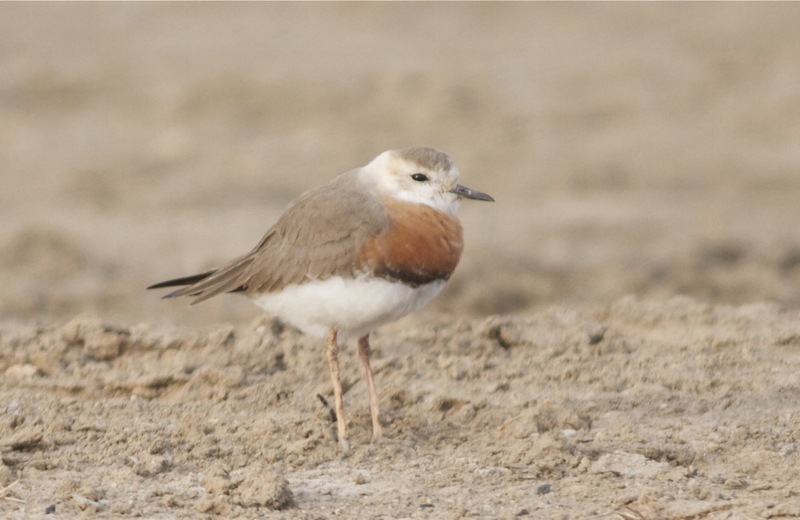 Oriental Plover, Ma Chang, 29 March 2013. I don’t know anything about ageing or sexing OPs. 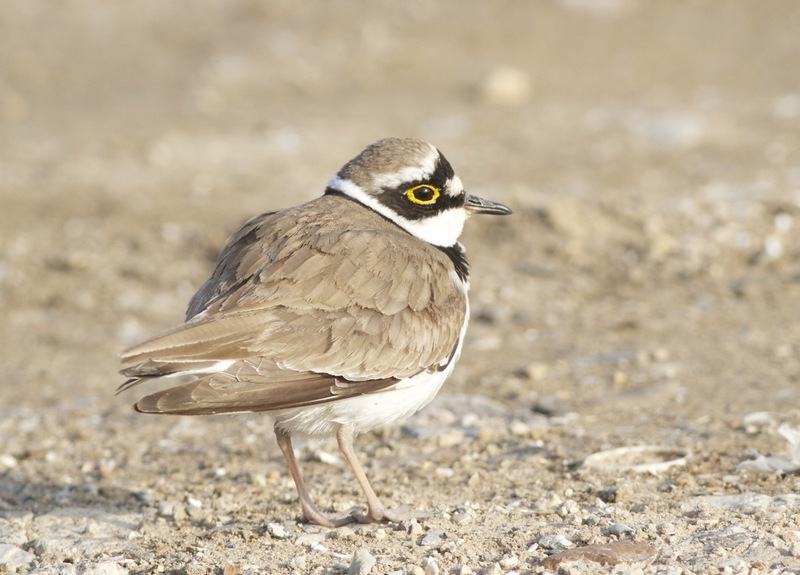 Do the pale fringes to the feathers on the upperparts and the buffy face indicate immaturity? Or is this an adult female? We moved on to the spit by the yurts, where the local fisherman have already returned to set their nets for the summer season. This location proved to be a good one for visible migration with White Wagtails (ssp leucopsis) dropping in, a stunning close fly-by from a male Goshawk, a couple of Eastern Marsh Harriers, a steady trickle of Eurasian Skylarks and several flocks of cranes, including a few small groups of White-naped in amongst the more numerous Common. At the next site we secured views, albeit distantly, of some of the duck present, including Falcated Duck, Common Pochard, Pintail, Ferruginous Duck, Mallard, Spot-billed Duck, Gadwall and Common Teal. A very distant group of swans were probably Whoopers but we couldn’t be sure. 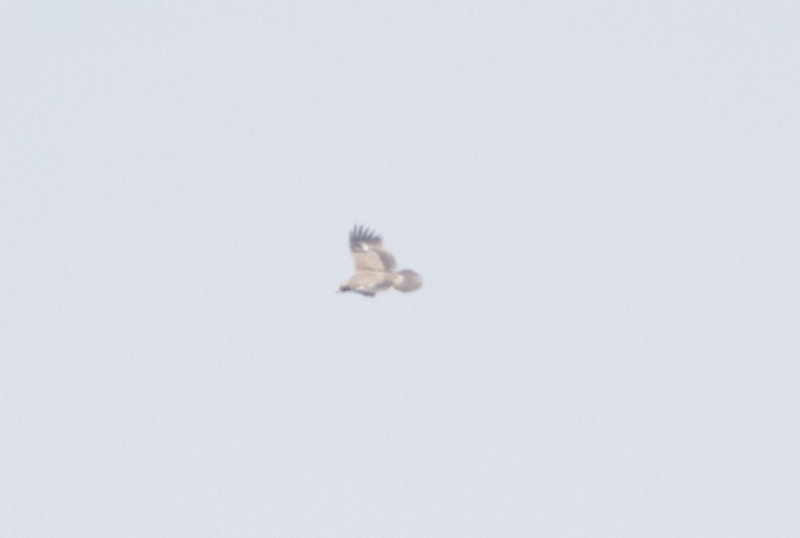 As the day began to warm up from a chilly -4 first thing to about 3-4 degrees C, some raptors began to move, beginning with a few Common (Eastern) Buzzards of the ssp japonicus, a trickle of Goshawks, a couple of Sparrowhawks and a Kestrel. 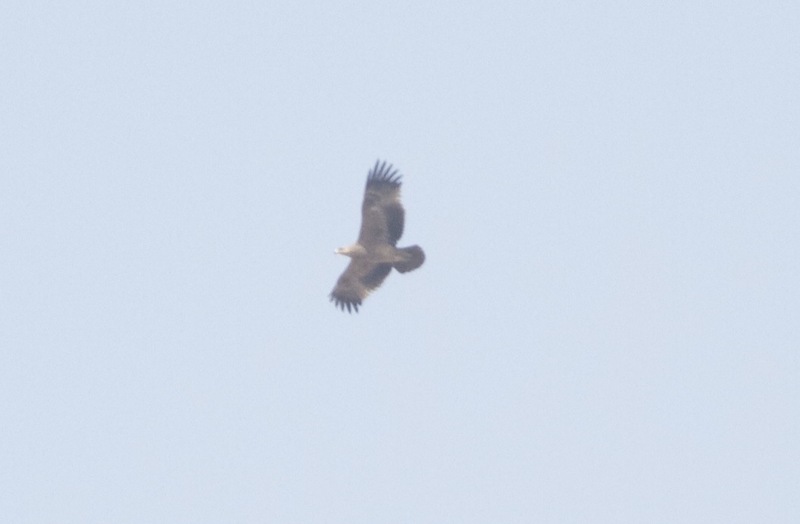 At about 1030 we were discussing the potential for an eagle and, sure enough, a Greater Spotted Eagle duly appeared against the backdrop of the mountains to the north, followed shortly after by another, then another.. superb! 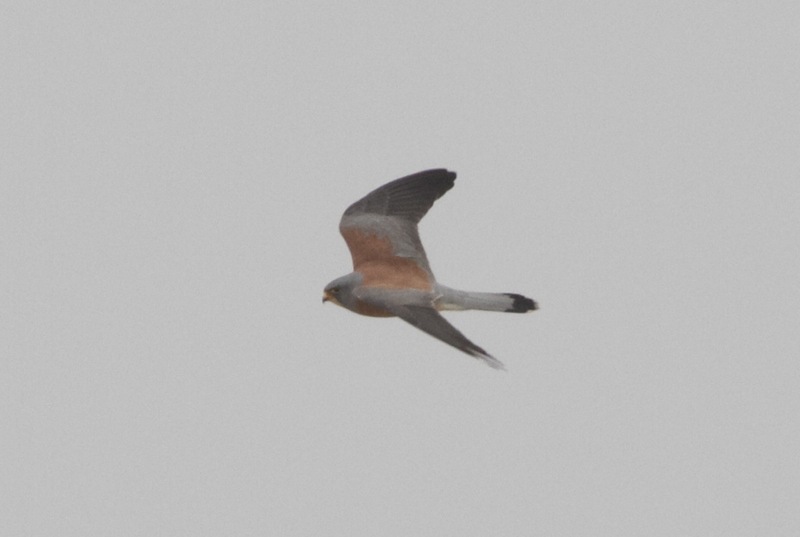 After enjoying the raptor migration for an hour or so we decided to visit Yeyahu NR to check whether it was open (it usually opens at “the end of March” but an exact date is always difficult to pin down!). Fortunately it was open and we were pleased when we saw a large flock of wild duck on the lake. 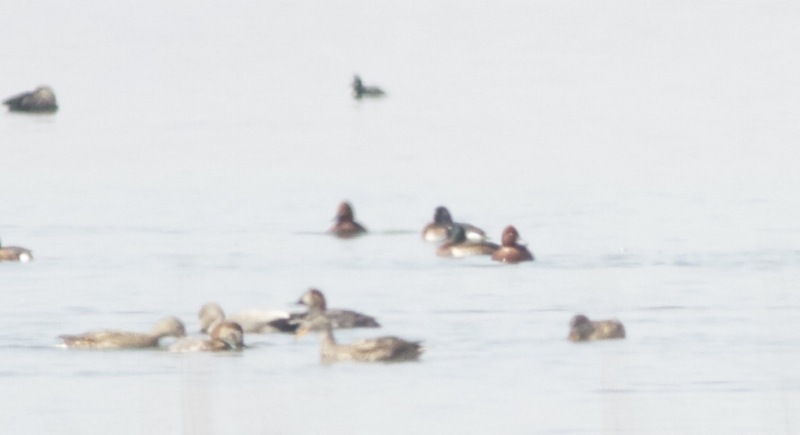 Scanning through them produced some stunning Baikal Teal, viewable in excellent light, together with good numbers of Common Pochard, Falcated Duck, Pintail, Common Teal, single pairs of Red-crested Pochard and Ferruginous Duck and several groups of Smew. Not bad! 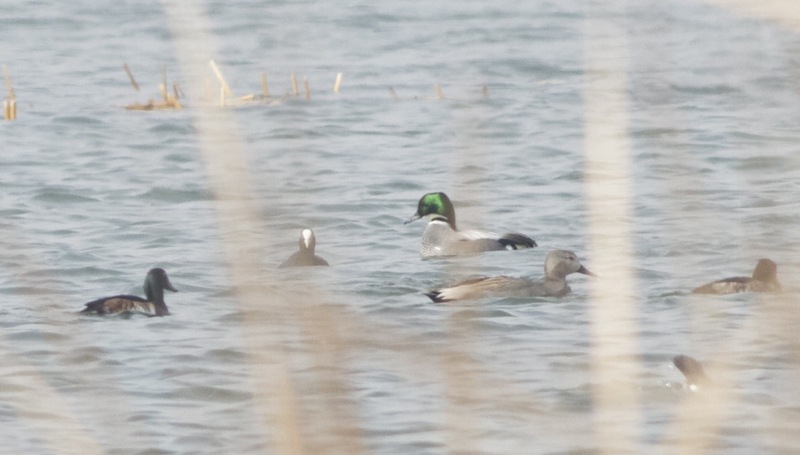 After watching a drumming Grey-headed Woodpecker and a confiding male Daurian Redstart we set off back to Beijing having had a typical early Spring day at Wild Duck Lake. Many thanks to Alice and Ed for their company. 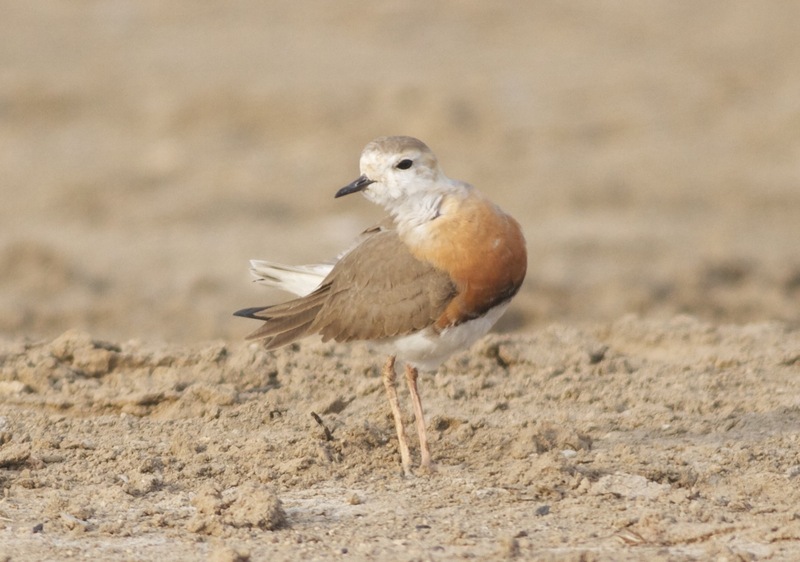 ORIENTAL PLOVER – 6 – superb views early morning; always a star bird! Thrush sp – 4 flew across the road on the way to Ma Chang. 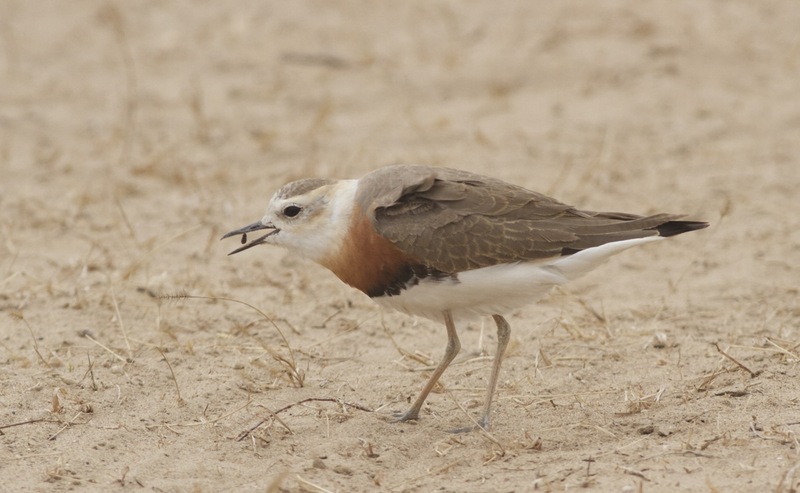 Posted on March 30, 2013 March 30, 2013 Categories UncategorizedTags Alice Carfrae, Ed Drewitt, Ma Chang, Oriental Plover, Yeyahu NR2 Comments on Oriental Plovers – they’re back!